Tapsilog is a simple dish of beef with rice and a fried egg, but you should not underestimate it. Its secret weapon lies in the black and white vinegar. Very understated but oh so flavourful when you dip your beef in the tangy sauce. 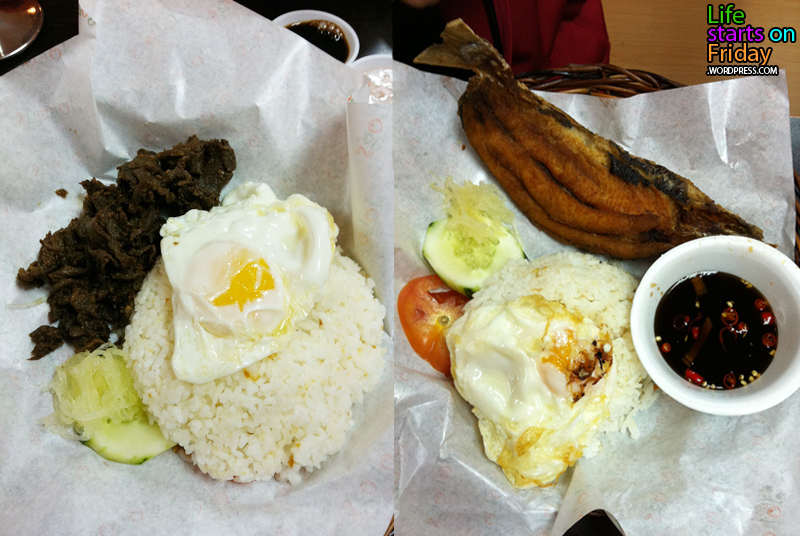 You can try equally yummy Bangsilog (fried fish) too. Oh, and the meals come with soup and free flow drinks. Only two types of cordial were available, but no complains. 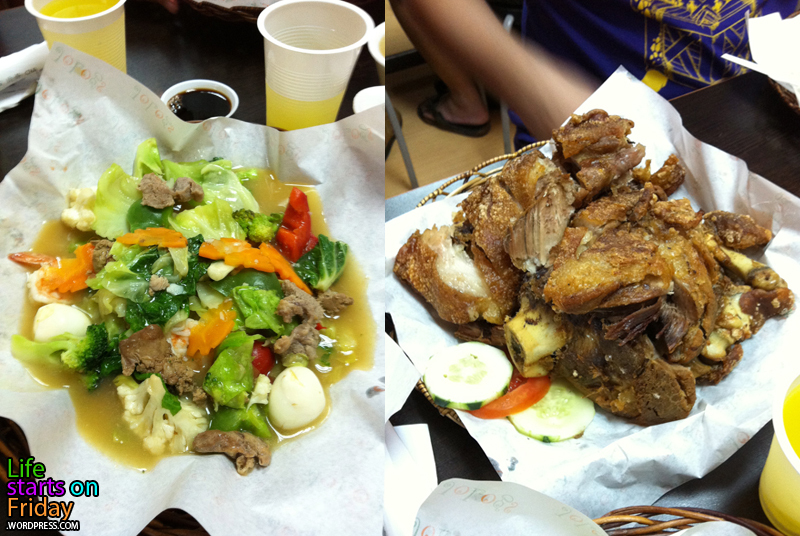 Crispy Pata (fried pork knuckles) was the highlight of our meal. It was so nicely fried that it was crispy throughout and the oil was properly drained. 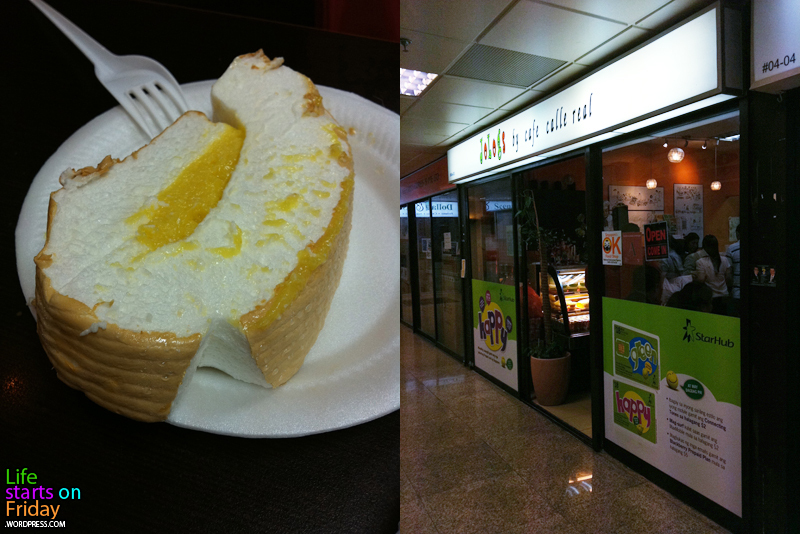 There wasn’t a huge layer of fats, and it tastes good with or without vingear. Definitely better than the one I tried in Paulaner Bräuhaus. We also ordered Chop Suey (mixed vegetables) to have some greens amongst all the glorious meat. This entry was posted in Fun, Weekend belly treats and tagged filipino, food, fun, photography, pork knuckles, yummy by lifestartsonfriday. Bookmark the permalink. I am not surprised if there are so many filipino restaurants/establishments all over the world that is serving our cuisine. This makes me so proud to be a Filipino. And by the way, I just want to make a correction about ” Tagsilog” because it is called Tapsilog short for “Tapa” (beef or pork jerky), Sinangag (fried rice) and Itlog (egg). Also, chopseuy is actually a Chinese food, but who cares? All of them tastes good I bet! For more filipino food please visit my website http://www.thehapitraveler.blogspot.com and you can check out my original recipes and more filipino cuisine.